Oil declined below $66 a barrel as an industry report showing US stockpiles expanded raised concern among investors who’re already worried OPEC may soon end output cuts. Futures in New York dropped as much as 1.3% after the American Petroleum Institute was said to report nationwide crude inventories rose last week. That compares with forecasts for a slide in supplies ahead of government data on Wednesday. Meanwhile, Russia, which has already started increasing output, is said to propose that OPEC and its allies be allowed to return production to October 2016 levels within three months. 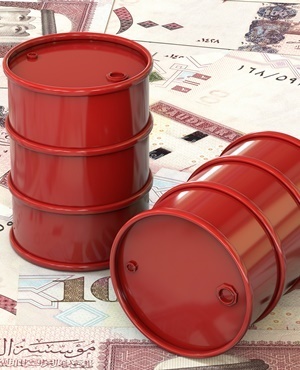 Oil has retreated from the highs of May as Saudi Arabia and Russia signalled they may increase output later this year to offset potential supply losses from Iran and Venezuela, while US President Donald Trump adds pressure to temper oil prices. Investors are looking for signs of whether OPEC will reach a consensus on the easing proposal, with the group set for a fractious meeting in Vienna next week. OPEC emphasized the deep uncertainty over the strength of demand. “I think they’re actually going to increase supplies but it’s going to be a gradual increase so that all the good work they’ve done is not thrown outside the door,” said Stephen Innes, head of trading for Asia Pacific at Oanda, said by phone from Singapore. West Texas Intermediate crude for July delivery dropped as much as 84 cents to $65.52 a barrel on the New York Mercantile Exchange and traded at $65.96 at 3:23 pm in Singapore. The contract climbed 26c to $66.36 on Tuesday. Total volume traded was about 36% below the 100-day average. Brent futures for August settlement slipped as much as 58c to $75.30 on the London-based ICE Futures Europe exchange. Prices slid 0.8% on Tuesday. The global benchmark traded at a $9.64 premium to WTI for the same month. Futures declined 1.6% to 464.5 yuan a barrel in afternoon trading on the Shanghai International Energy Exchange on Wednesday. The contract increased 1% on Tuesday. In the US, crude stockpiles increased 833 000 barrels last week, the American Petroleum Institute was said to report. That compares to about 1.25-million-barrel decrease estimated by analysts in a Bloomberg survey. Inventories showed a surprise gain in the previous week, while the US keeps pumping at record levels. Investors are also searching for clues on what next week’s OPEC meeting could yield. Russia plans to propose the Organisation of Petroleum Exporting Countries and its allies roll back most but not all of their curtailed production within three months, according to a person familiar with Russian thinking. That would indicate the producers proportionally sharing a 1.8 million barrel-a-day increase to their output limit starting as soon as July, the person said. Moscow’s new proposal would effectively end the cuts for any country that has the ability to pump more crude, going further than the previous suggestion by Russia and Saudi Arabia on boosting output. Given the backing of the two largest producers participating in the accord, an output increase “ looks inevitable” Citigroup analysts led by Ed Morse said in a report on Tuesday. • OPEC will probably overcome internal disputes to agree on a production increase next week to temper rallying prices, according to a Bloomberg survey. • OPEC’s compliance with crude output curbs slipped to 162% in May, compared to 171% in the previous month, according to Bloomberg calculations from the producer group’s secondary source data published on Tuesday. • Exxon Mobil plans to build one of the biggest pipelines in the Permian Basin, a move that would help ease bottlenecks in the nation’s fastest-growing shale region. • Gasoline futures fell 0.7% on Wednesday after dropping 1.2% in the previous two sessions.